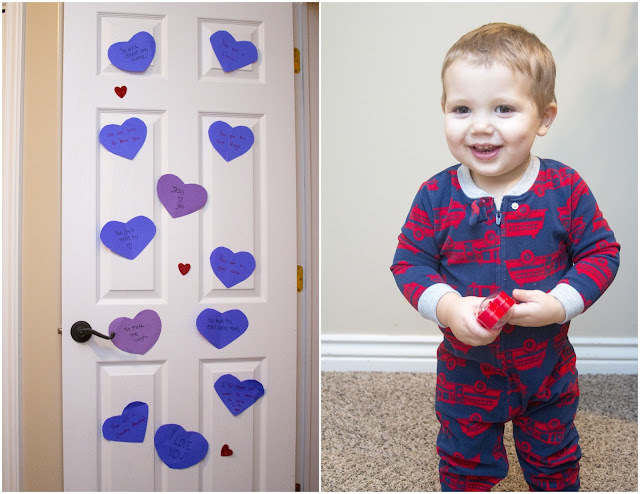 With so many things back to back during the month of February, Valentine's day was almost an afterthought. I did manage to get the kids' school valentines done well ahead of time so all I had to do is put it on their backpacks the night before. They each got to chose what they wanted to give to friends. 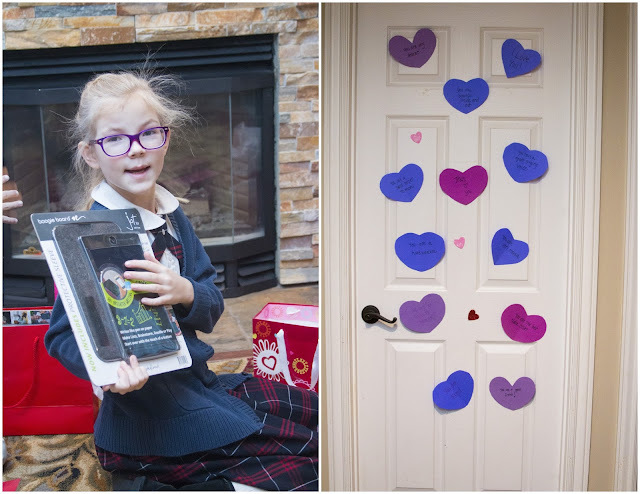 Stella chose bubbles, Emilia ring pops and Carson gum - each with their own personalized printable tag. As for our kids Todd and I decorated each of their doors with words of praise and love the evening of the 13th. 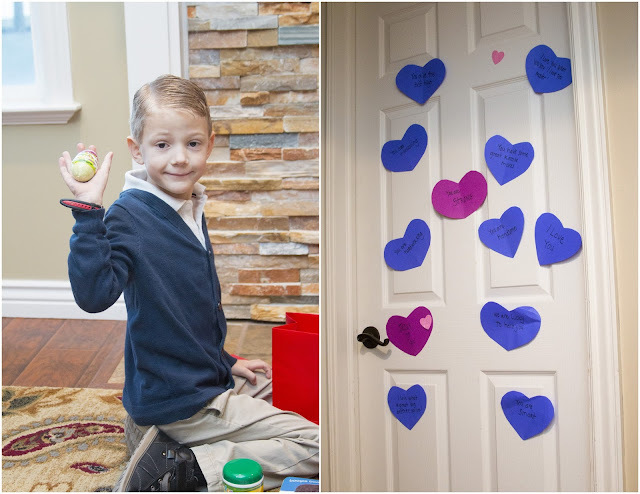 When they woke up early the next morning to get ready for school they were surprised by the messages. 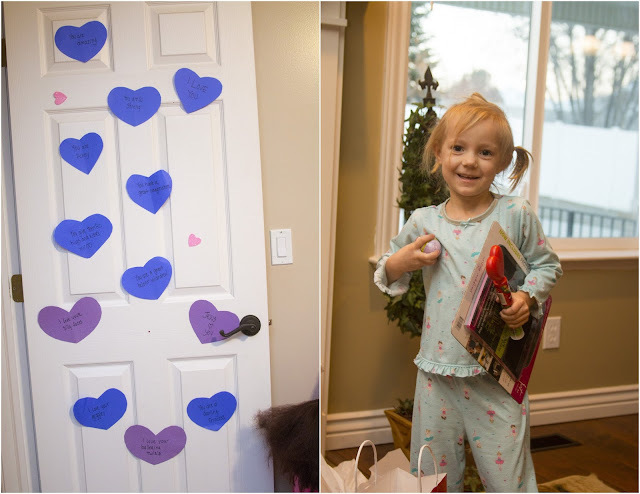 Upon coming upstairs they also found they each had a gift bag with a card and some toys from mom and dad. 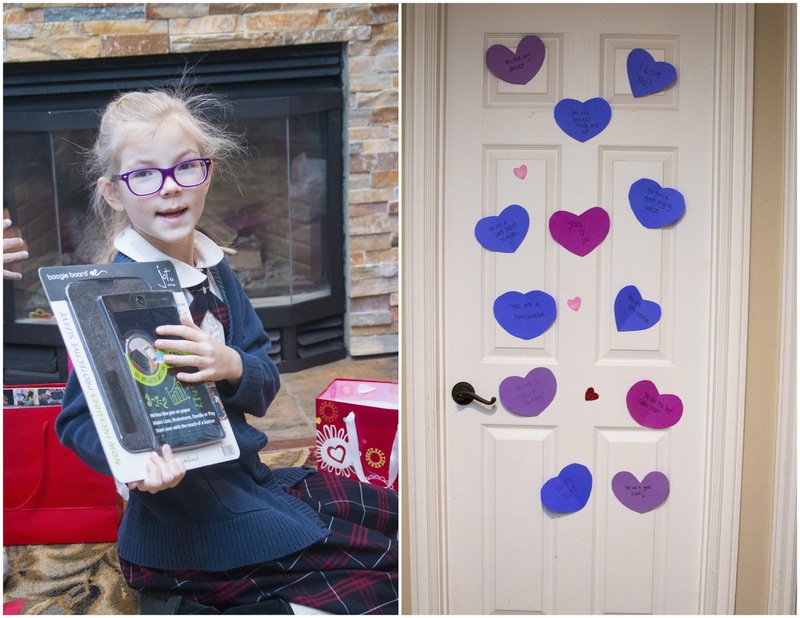 They all received similar gifts: a boogie board (dry-erase board); scented bath bombs or bath coloring drops. Andrew received a toy guitar that plays all kinds of sounds and lights up instead of the boogie board. As we embark on the process of formally adopting Andrew we have come to appreciate the blessing we have received to be allowed to be parents. 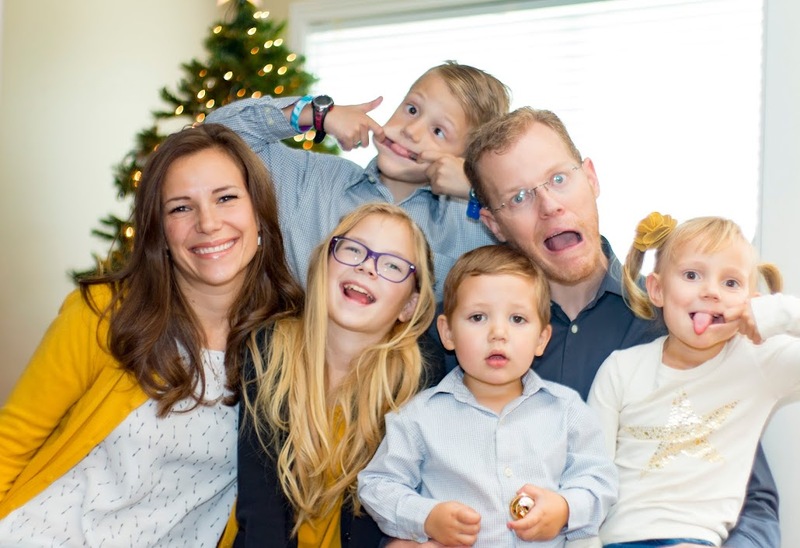 We love all our children and are so fortunate for the privilege of being a mother and father to them.